A sense of this reality emerges in the early scenes. The key characters (“key” being a superfluous word) assemble in a concrete building under the ominous watch of expressionless security guards in sunglasses – you know, the sort that look as if they’ve still recovering from unsatisfactory salary negotiations. This, we quickly learn, is an office dwelling for a nonprofit organization known as Belko, which is set up in South America and hosts a diverse faculty of American and native employees. What they promote and why is never openly discussed, although there is dialogue emphasizing the paradox: “no one has really been paying attention to any of our work.” That is true on some professional level, perhaps, but not the instinctual. Then a voice rings out amongst the flurry of monotonous grinds and watercooler chit-chat that is at first perceived to be an elaborate hoax: soon the doors will locked, and within 24 hours nearly all of the people inside will be deceased. How? The voice insists they will kill one another. Then, in an act that underlines the seriousness of the claim, four of the employees drop dead after the back of their skulls explode, an apparent side-effect of being imprinted with a device meant to track their movements. At this point my own intrigue was far more stimulated by what wasn’t being said. Any soul perceptive enough to know the ways of the world would see a variety of these details as foreshadowing hair-triggers – the tracking device, a compound in the middle of nowhere, a cushy job outside of mainstream civilization with all expenses paid, little supervision from above, the list goes on. But no one involved in those early moments – no, not even an ambivalent supervisor named Barry (Tony Goldwyn) – can sense the gravity in the warning signs. They are lambs cluelessly being led through a routine slaughter. That certainly inspires wonder about the external influences, although the movie is not destined to explore them until a good number of the employees have been offed in very violent ways. Among a plethora of recent films that might have inspired McClean and Gunn’s sense of choreography, “Hostel” and “The Purge” seem to hold the heaviest weight. But the violence doesn’t underline the predicament with a subtext, whereas in those films we knew, to some level, what motivated those orchestrating all the fatal mayhem. That could work in a movie where the survivors have some sense of identity, of which “The Belko Experiment” possesses none. The predestined hero of the film is Mike (John Gallagher, Jr.), whose most distinguishing characteristic is his ability to remain human; during heated discussions in which the more primal-thinking brutes propose shooting the least desirable employees in order to endure, he is the lone voice in the crowd who sees the implication from beyond the carnal surface. But he is also a wimp with little in the way of cunning, especially during a barrage of third act massacres. Then the screenplay forgets him altogether as the more ruthless individuals – like the creepy Wendell (John c. McGinley) – take center stage in their long journey towards moral destruction. They are motivated, to be sure, by a desperation that comes from the mysterious voice over the intercom; in a critical moment they are told that unless 30 of the remaining survivors are murdered, the tracking devices will be detonated on 60 of them instead. When a room is full of people who are old and without families, who do you think the stronger ones are going to single out to survive the test? The climactic reveal inspires its own mystifying frustration. After a lone survivor (I will refrain from revealing their identity) is taken into a compound to learn about the grand experiment, their motivation becomes one of strategic vengeance. A detail in an earlier scene involved another character harvesting the undetonated tracking devices off the dead by removing them from their heads, thus quietly inspiring them to wind up in the hands of the one who will emerge victorious. Somehow, amidst an endless parade of violent interrogations and struggles, they all wind up being planted on Belko’s diabolical bosses so that the survivor can exact revenge on them. Two fatal flaws: 1) what is the likelihood that an enemy using a facility wall-to-wall with cameras will miss catching that detail? ; and 2) how can one person literally mark each person in the room with one without any of them noticing until they climactic moment? Their implausibility is underscored further by the screenplay’s inability to call on the gimmick at the right time; rather than utilize this final jolt at the end of the villains explaining themselves, the explosive victory comes in the middle of the reveal, leaving us with more unanswered questions than actual conclusions. A sequel was clearly on their minds. The film’s final shot shows the last one standing emerge in the light from the exhausting experience, and the camera pulls back to hundreds of video monitors showing the same moment in a plethora of locales scattered across the globe. Yet the faces, battered and scarred, all reflect the sentiment of any audience with an IQ higher than the average turnip – no one wants to participate any longer in this “experiment” than necessary, especially if they are frustrated further by the senselessness of the game. 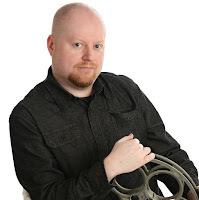 The arrogant conceit that inspires the director and writer could be admirable in a time when horror films have the capacity to be far drearier, but those that confuse ambition with insight are not the sorts that ought to be living with a false assumption. 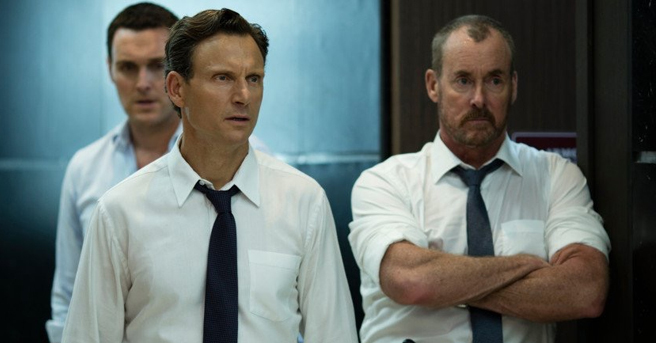 “The Belko Experiment” is painfully dull and misguided on its own; the idea that anyone wanted to do a follow-up goes to emphasize the delusion of a new breed of imitators running rampant in the margins.